Connex Credit Union wears jeans and raises funds! 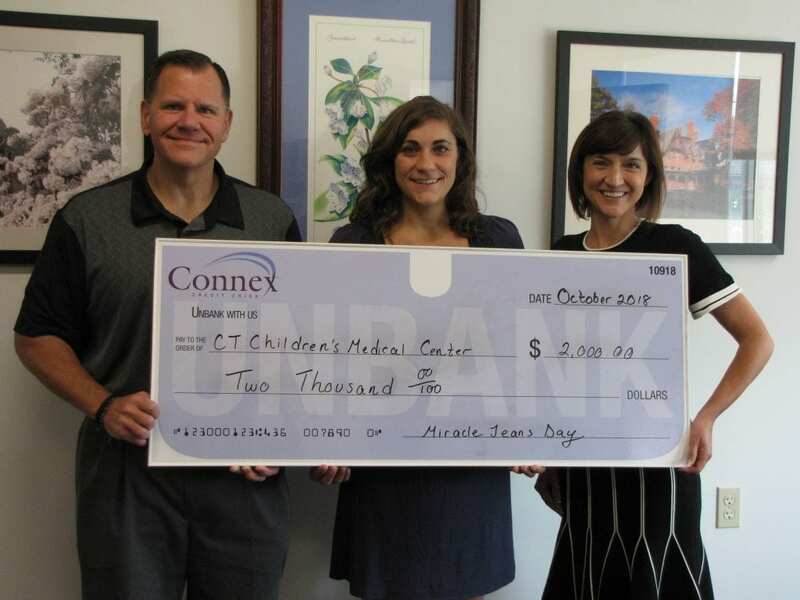 Thank you to Connex Credit Union who raised $2,000 for Connecticut Children’s Medical Center through the Miracle Jeans Day campaign in September! Connex has committed to partnering with Connecticut Children’s and has been a great annual supporter of local children who are patients at the Medical Center. (L-R) Carl Casper – Connex Executive Vice President/Chief Operating Officer, Marissa Troiano – Associate Manager, Children’s Miracle Network Hospitals, and Jill Nowacki – President, Credit Union League of Connecticut.